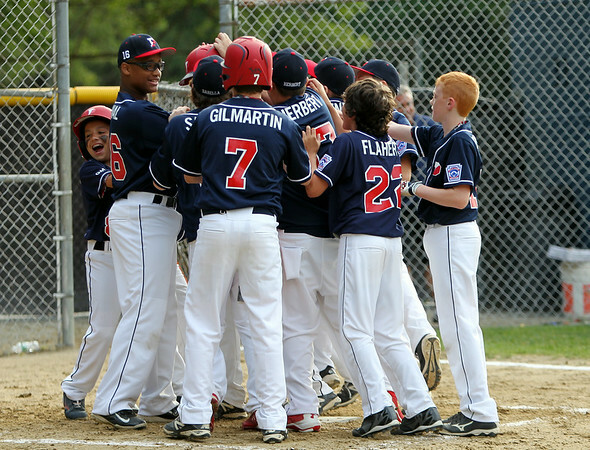 The Peabody West Little League team congratulates John Mulready at the plate after his solo home run to lead off the 3rd inning of play. DAVID LE/Staff photo. 6/26/14.